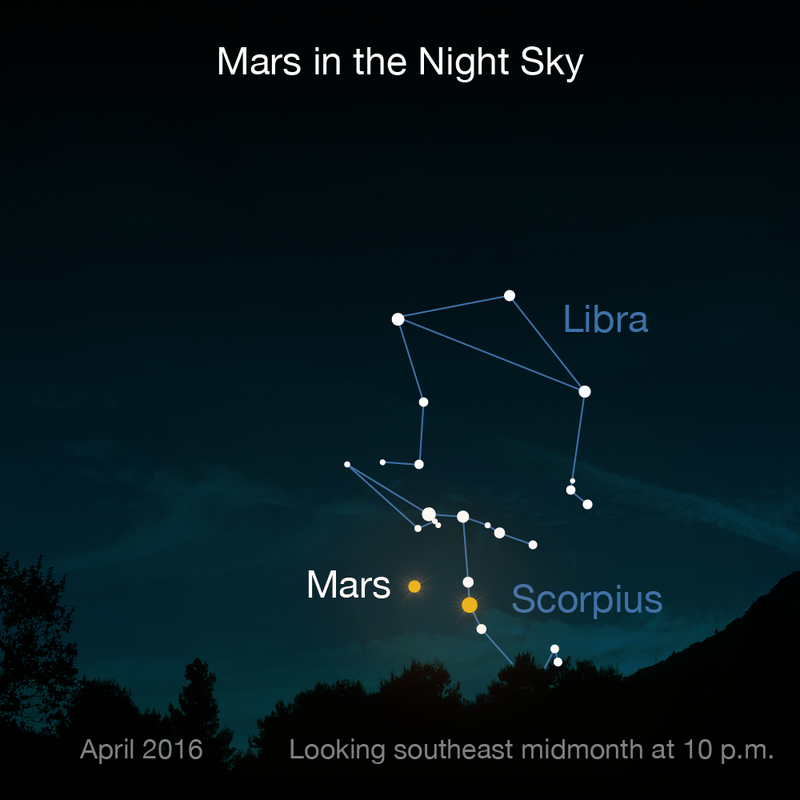 On May 30, Mars and Earth will get close. Really close. With a distance between them of only 46.8 million miles, it's the nearest the two planets will be to each other in their respective orbits. While nearly 50 million miles might still seem far away (because it is), when you consider the average distance between the two planets is 140 million miles, this close approach of Mars makes the planet feel, well, like the neighbor it is. 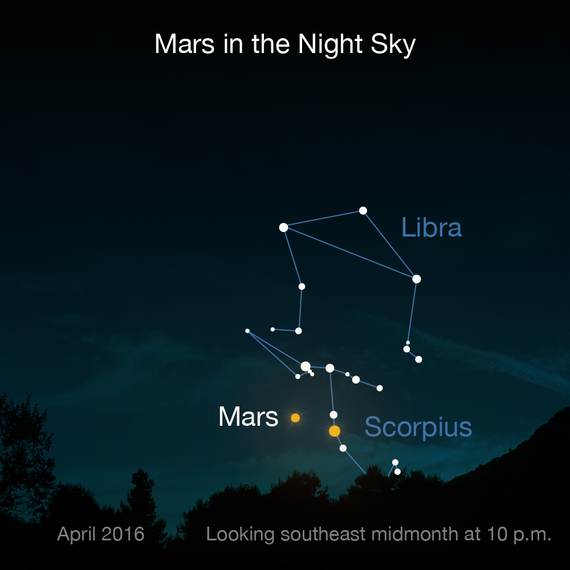 Not only does this give you a great opportunity to see the Red Planet in the night sky, it also gives us a chance to think about Mars and the possibilities it holds. Over the last 20 years NASA has embarked on a steady program to explore Mars. Beginning with the little rover Sojourner, three generations of mobile robots have made the trek through space to the Red Planet. And now NASA is planning a 2020 mission to Mars to gather more data. These missions have been critically important on a scientific level, but they've also ignited the imaginations of children and adults alike about the possibility of humans someday living there. (Look no further than the blockbuster success of the movie The Martian for proof.) But all of this brings up an interesting question: Why Mars? After all, the solar system has plenty of other planets to choose from. What makes Mars so special? While it is substantially smaller than Earth and has only 38 percent of our gravity, our neighboring planet displays amazing diversity. It has a landmass equal to the seven continents of our own sphere. This smaller globe boasts the tallest mountain in the solar system, at a height of 17 miles, compared to Mt. Everest's mere 5.5 miles above sea level. It also has a grand canyon, Valles Marineris, that stretches nearly the distance from San Francisco to New York. Within the last three years NASA's Curiosity rover has driven over an ancient riverbed and found mudstones that were laid down in a fresh-water lake. We are still in an age of serendipitous discovery on Mars -- we can't predict what we will find next. We do know that while Mars once had a habitable environment, its location farther from the Sun resulted in more catastrophic ice ages than Earth ever suffered. Worse than that, without a global magnetic field for protection, most of its atmosphere was slowly sputtered away by energetic particles from the Sun, so the pressure at Mars' surface is only 1 percent that of the Earth, no longer enough to support lakes and oceans. Given these realities, does human exploration of the Red Planet make sense? The answer is no, but we will do it anyway -- and when we do, we'll be armed with important information thanks to all of our robotic missions to Mars. 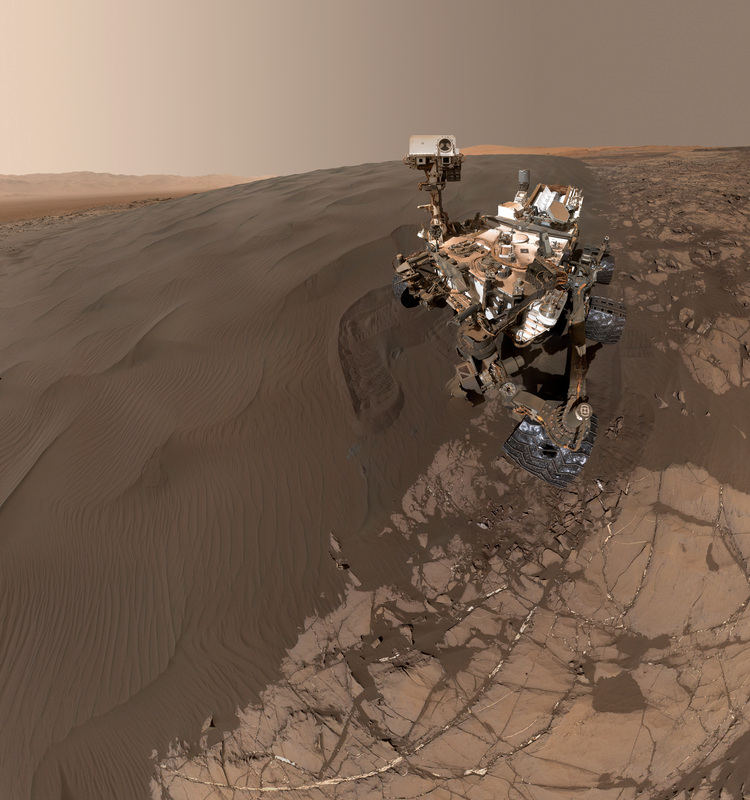 I have been fortunate to lead a joint French-American team using a laser-based sensor, ChemCam, which was developed at Los Alamos National Laboratory and is now aboard NASA's Curiosity rover. When ChemCam fires its extremely powerful laser pulse at a Martian rock, it vaporizes an area the size of a pinhead. The system's telescope peers at the flash of glowing plasma created by the vaporized material and records the colors of light contained within it. These spectral colors are then interpreted by a spectrometer, allowing us to determine the elemental composition of the vaporized material. ChemCam is designed to look for lighter elements such as carbon, nitrogen and oxygen, all of which are crucial for life -- and all of which help tell us if we can someday safely inhabit the planet. ChemCam was developed at Los Alamos because of our expertise in laser technology and spectroscopy, as well as our decades-long involvement in space. Now we're working on SuperCam, an action-hero version for NASA's 2020 mission to Mars that will allow us to conduct fine-scale mineralogy, chemistry, and organic detection and to create color images, with the added bonus of being able to dust off a surface via laser blasts. All of this tells us that we can sufficiently explore Mars with rovers or by robotically bringing samples back to Earth. Isn't that enough? I doubt it. As humans, we have the sense that we will not have really explored the planet until human boot prints sink into Martian sand. But getting to Mars is no small task; and getting back to Earth is even harder -- requiring the assembly of a relatively large rocket on the Martian surface to blast the astronauts back into orbit. It would be extremely costly, not to mention incredibly risky. Then there's the added challenge of replenishing supplies for the Mars colonists if we decide to establish a permanent presence. The alignment of the planets only allows the transfer of people and goods every 27 months when Earth approaches its neighboring planet. That's a long time to wait if people are in dire need of supplies. If only one mission is planned at each of these opportunities, how would Mars colonists deal with failed missions, which are a certainty given the challenges? Or suppose supply missions make it to Mars but land too far away to reach the original colonists? Things could work if -- but only if -- everything goes right. The history of both recent space exploration and many human ventures through time tell us that one must plan for problems and failures -- probably many of them. With this in mind, a sustained human presence on Mars is unlikely in the near future; but it could happen someday. When I think of the men and women who will be the first to colonize Mars, I'm reminded of the pilgrims who set sail on the Mayflower in 1620 to settle in the New World. When they left their port in England, they had no idea what lie ahead -- famine, disease, and death on an epic scale. (Nearly half of the pilgrims died the first winter, which was much harsher than winters in England; out of 100 colonists only four women survived to the Thanksgiving celebration the next autumn.) A similar uncertainty will face the first colonists to set foot on Mars, with one major difference: the first Martians will have abundantly more information. Because of missions like Curiosity, they'll understand the temperatures, terrain, and resources of the planet -- and have the equipment to protect them. Regardless, the first human mission will require brave individuals. Fortunately, the human race has no shortage of people who look to the distant horizon and wonder, "What's over there?" -- and then quickly add, "Let's find out." It makes me proud to be an earthling. Roger Wiens is a scientist at Los Alamos National Laboratory and principal investigator of ChemCam, a laser spectroscopy instrument that was developed at Los Alamos for NASA's Curiosity rover. He is author of Red Rover: Inside the Story of Robotic Space Exploration, from Genesis to the Mars Rover Curiosity (Basic Books, 2013). Wiens was recently knighted ("chevalier") by the French government for his work in forging strong ties between the French and American scientific communities.